School of the Arts Institute Chicago. Zombie troubadours, radical saints and free-floating soap bubbles; fertile ground for cross-disciplinary arts practice. 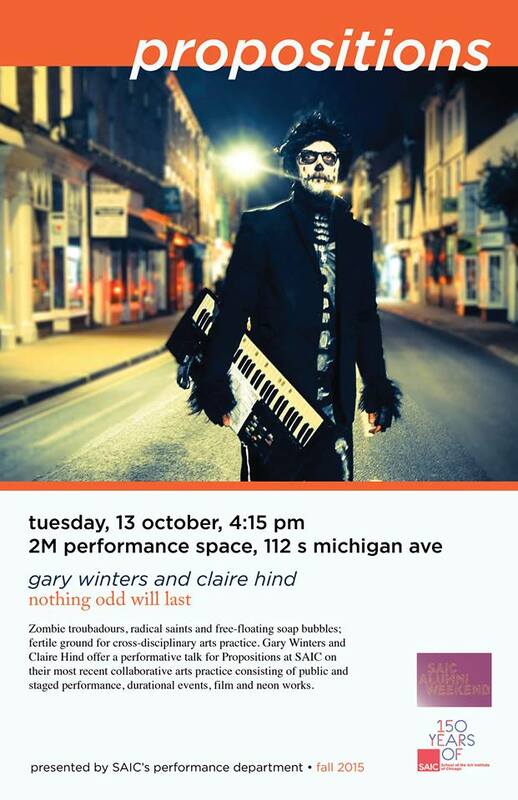 Gary Winters and Claire Hind offer a performative talk for Propositions at SAIC on their most recent collaborative arts practice consisting of public and staged performance, durational events, film and neon works. There work research the relationship between writing, play and performance in relation to the subject of deadness.